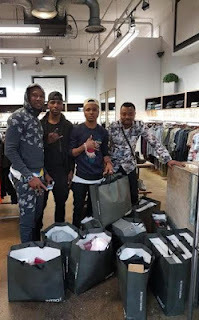 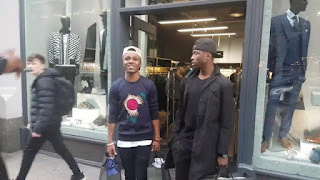 The "Osinachi" crooner who currently on tour in the United Kingdom went shopping with his manager,Bob Kelly together with Manchester city star,Kelechi Iheanacho at Intro boutique right there in Manchester. The super Eagles striker was clearly delighted to meet the 'Osinachi' & 'Attracta' Crooner and the shopping spree totalled a huge amount in Pounds, as Humblesmith showed his appreciation for his hospitality. 0 Response to "Humblesmith Spotted Shopping With Kelechi Iheanacho In Manchester(Photos)"